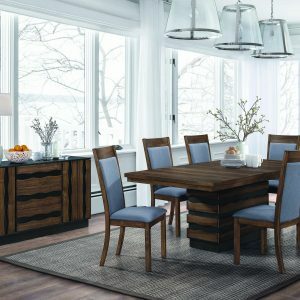 With traditional touches that blend elegantly with the casual look of the Milly Valley Collection, your dining room will be a warm and inviting space to share meals with your friends and family. 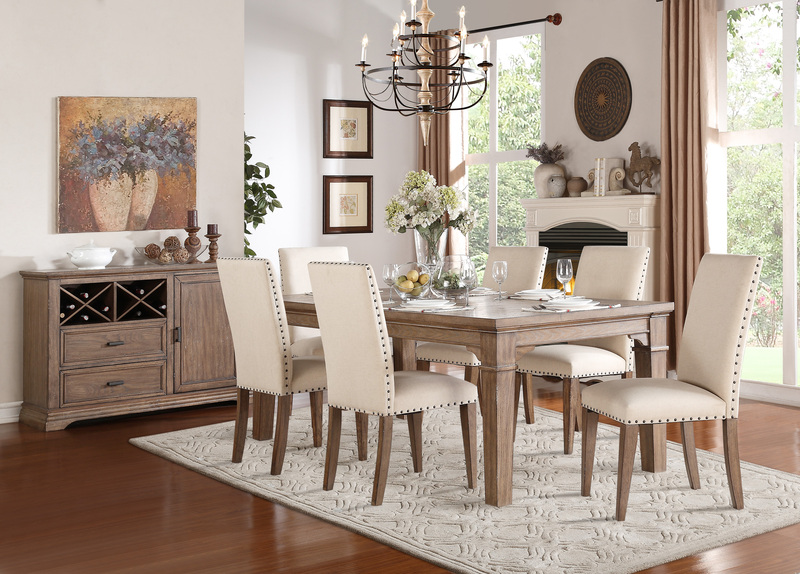 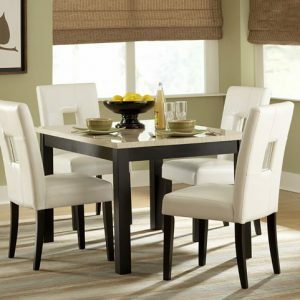 The weathered wash finihs of this dining offering has hints of grey and white alluding to a rusticated lifestyle. 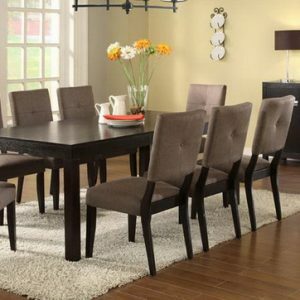 Neutral tone padded fabric chairs feature nailhead accent and wood leg support. 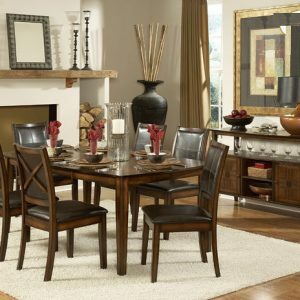 The coordinating server features drawers, door and wine storage for the ultimate convenience.